I had the honor of preaching at Foothills Unitarian Church in Fort Collins this past Sunday. The sermon they got kicked off with some affectionate words on the Poudre and Platte watersheds, took a turn back toward America's original sins, dove into the imagery of shalom, unpacked the praxis of solidarity, and proposed some ways forward. I'm pretty sure I made a call for reparations. It was super weird, but (other than toning down the Jesus) a rare chance to share many of the things I've been wrestling with over the past few years. If for some reason you want to hear me talk, you can skip to the sermon at 33:40 in the video above (this was the third service, so I was a little tired!). Today, I woke up where the water rolls down to the South Platte. Poor people tend to roll down to our river too. Right along with everything else our culture throws away. The banks of that big stream are as dotted with parks and bike paths as they are with homeless people’s tents and superfund sites. Most efforts to improve the riverfront have pivoted around exclusion. Caring for the river, in this imagination, is about using the river to build wealth for a select few. It’s an attempt to expand consumption and the profits of plunder. The homeless bodies and trash piles are simply swept out of sight. But, dear friends, there are other imaginations. That is why we are here. That’s what church is for. To consider fresh imaginations with our whole selves and the full spectrum of our relationships. We are here to expose our lives to different stories, ancient and progressive, that call for a new joining of lives toward justice and rejoicing and the flourishing of the whole community of creation. This is what religion, at its best, is designed to do: to call out the better angels of our nature and meld into the rhythms of our lives the inseparable practices of personal and social transformation for the wellbeing of all. That’s what we’re getting up to this morning. Somewhere along my drive up here, a few miles before the 392 exit for Windsor, I rolled over the bank into your watershed: the Cache le Poudre. This is the bioregion most Northeastern Coloradans call home. These are your winding territories. These are the lands where you’re woven. Where you find yourselves in direct and dependent relationships you didn’t make with aspen and evergreens, marmots and trout, farmland, and forest. The Poudre Watershed stretches along the continental Divide, taps highway 34 in the south, sticks an arm up west of Cheyenne, and rolls east 126 miles into the high plains. This is the immediate community where FoCo lives play out, where each of you look to the same sky praying for the same waters of life. But the landscapes to which you’re bound by rivers don’t end there. My river and yours find each other on the plains east of Greeley. They arch their way across until a happy reunion with the Northern Platte in Nebraska. Our waters dance on from there until finding the mightier flows of the Missouri in Omaha. All those roiling waves of long-melted snow continue their growing journey south, bending back towards the morning light at Kansas City until they reach St. Louis. There, they join that great southward migration called the Mississippi River, a force without apology or confusion, carving the land ahead of her and carrying the lives of half a continent into the Gulf. As a far flung member of this watery web, we are tied to plants and peoples from the Allegheny Mountains of Western New York to the humid swamps around New Orleans, the meadows of Southern Alberta, and the juniper hills of Northwestern New Mexico. But friends, for those of us living in the high desert of the Front Range, our fluid ties don’t stop there. It was 1937 when the Colorado Big Thompson project completed a 13 mile tunnel under Rocky Mountain National Park, funneling precious flow from the Colorado River and the infinitely arid West to our faucets. With that act, we hooked an umbilical cord from this watershed to another that, by the time it reaches its conclusion, only has a few drops of red water left for the Gulf of California. Unique in the US, Front Range watershed responsibilities span the continent. 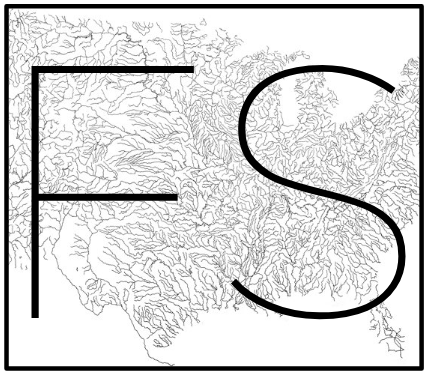 In the age of visible climate change, I’ve been drawn to this emerging watershed framework. It brings the environmental movement down from the Western obsession with abstraction into the visceral contours of our physical place, and calls us into a rootedness that fosters intimacy and affection. It is local without being parochial. Attending to our watershed draws us down into the soils and streams of our home. These waters and the lands that hold them join us not only across space, but also across time. A reintroduction to our place, to our watershed, reminds us that each plot of ground comes with a history; a history often marked by legacies of exclusion and exploitation. Coming to an honest account of life in the Poudre watershed requires us to speak the truth about America’s original sins: the slavery of Black people and the genocidal theft of land from Natives. The sin systemic racism didn’t end 150 years ago, of course. It kept spilling over from one decade to another because we were never willing to speak the truth and take the conciliatory steps needed to repair our past. It spilled over into Jim Crow. It spilled over into housing segregation. It spilled over into mass incarceration and mass eviction rates for Black and Brown people. It spilled over into the 87 unarmed people of color killed by police last year. You see, my friends, we are both imbricated and implicated. We are both imbricated and implicated. We are imbricated with this wonderous ecological network of life, and we are implicated for the legacies of violence that left the world looking as it does today. We are at once inseparably interconnected to one another, and, as white people, indisputably culpable for the terror and inequity faced by Black, Brown, and oppressed communities. At the roots we find the same logic. The cultural values and economic systems causing our soil to wash down the Poudre 10 times faster than their natural rate is the same set of values and systems that have ensured the average white family has ten times the wealth of the average black family. Friends, we live in a deeply broken system that’s doing exactly what it was designed to do. The old definitions have not served us, nor the earth that supports us. The old patterns, no matter how cleverly rearranged to imitate progress, still condemn us to cosmetically altered repetitions of the same old exchanges, the same old guilt, hatred, recrimination, lamentations, and suspicion. For we have, built into all of us, old blueprints of expectation and response, old structures of oppression, and these must be altered at the same time as we alter the living conditions which are the result of those structures. So what would it mean, to be responsible people of this place? To be our sister and brother’s keeper? To genuinely care for our watershed bound to so many others? To alter both the structure and the results? We are in need of a fresh imagination that can translate into fresh communal structures. I want to suggest that the Hebrew imagination holds precisely the sort of practical vision we need to get on with the business of making a better world. Their scriptures draw upon these ties and call us toward a vision called shalom. Shalom is often translated as peace. But it is so much more. Shalom is communal, holistic, and tangible. There is no private or partial shalom. The whole community must have shalom or no one has shalom. As long as there are hungry people in a community that is well fed, there can be no shalom. Where there are homeless and jobless people amidst the employed and wealthy, shalom cannot exist. Shalom, simply put, is when relationships are right. Shalom is holistic wellbeing. It’s when relationships, from personal to structural, are just, loving, care-filled, joyful, abundant. Where there is shalom all have a place. All thrive through God-given, others-blessing self-expression. When there is shalom, creation is singing. This is the weight carried in this little word: shalom. These outcomes, of course, don’t simply happen from imagining them. We all know that too well. We can all feel the lack of images in our bones. But systems are built on images like these. The challenges ahead of us are learning how to translate our new imaginations, into new systems. It begins, I believe, by acquire a posture, a new way of being in relationship with one another that is suggested by all these things: by the interconnections created through our implacement in a watershed, by the injustices experienced by so many, by the rich imagery of shalom. This new and ancient way of being I believe is best described by the word solidarity. "Solidarity," says Womanist theologian M. Shawn Copeland, "is when we not only apprehend and are moved by the suffering of the other, but when we confront and address its oppressive cause and shoulder the other’s suffering." This is a hard word. Make no mistake: solidarity is a call to sacrificial-love. Without sacrifice on behalf of the privileged and powerful, there can be no shalom. True solidarity with the oppressed means fighting at their side to transform the objective reality which produced their situation. The oppressor is solidary with the oppressed only when he stops regarding the oppressed as an abstract category and sees them as persons who have been unjustly dealt with, deprived of their voice, cheated in the sale of their labor -- when he stops making pious, sentimental, and individualistic gestures and risks an act of love. True solidarity is found only in the plentitude of this act of love. Friends, I am convinced that if religion is to have a role in the twenty-first century, its defining feature must be solidarity. And a solidarity known for love. Let’s close by considering a few ways that this shalom-seeking solidarity, soaked in love, can be expressed with our watersheds and with the oppressed. Bear in mind that these come with all the inadequacies of a white kid who grew up in rural Texas. But they do come from people of color who I respect deeply, and am struggle learn from. Solidarity begins with our bodies. Let’s reclaim these beautiful things that were used to divide us. The first bodily act is listening. Or, in the words of one Black woman I hold in the highest regard: Listen, believe, and follow. Listen to what marginalized peoples are saying, listen to the groans of creation. Believe what is being said. And follow. If you walk out of here with anything, walk out with those three words: Listen. Believe. Follow. Don’t be weird about it. Don’t creep out your Black friends. Do your own work. Read some dang books. We have a ton of recommendations on our website. The Interfaith Alliance works with a Black woman led organization called Soul 2 Soul who lead intensives training geared toward white folks called Facing Racism. I cannot possibly recommend them highly enough. You will be transformed. Now, if we’re going to be able to listen and get on with work of solidarity, it’s going to require physical proximity. White bodies like mine need to be present when Black & Brown bodies are threatened with hate. Acts of solidarity require bodily proximity from us privileged people to stand in the way of violence, and redirect the flow toward shalom. Our watersheds need our proximity too. As a Christian, I’m reminded that Jesus began his ministry of solidarity by bodily walking down to his watershed and dunking his body in the Jordan. I think it’s long past time for commitments that get us soaking wet. As part of my journey, this Friday, I’m heading to where the South Platte River leaves the mountains and spills out on the plains . My plan is to walk the 21 miles from the mouth of Waterton Canyon, following the river all the way back to my house. I’m going to try and learn a bit more about what it means to love that stream and the lands that feed it. I’m gunna try and get wet. What might your watershed pilgrimage look like? The final piece we’re going to consider is something as sacred to us as our bodies: our money and the economy that manages it. Despite what us liberals have clung to since the Enlightenment, in the words of Ibrim X. Kendi, education and love are not going to solve our problems by themselves. The only thing that will ultimately stop racial and ecological violence and shift the tides of society toward shalom are new policies and new systems. Solidarity means listening to the oppressed, hearing the new policies and systems they are calling for, and uniting with them to forge a just social order. This may look like standing up for changes in economic policy being called for this year at the capitol and coming to our ballots in November. Things like giving Colorado cities the power to raise the minimum wage within their borders. Things like capping the exorbitant interests rates that payday lenders charge, sucking millions of dollars a year out of the poorest households in our state. You can be part that. Email me. It might mean making good on the claim that housing is a human right. It may looking at your retirement portfolio and only investing in companies that are socially and ecologically responsible. It could look like making a greater effort to shop at Black-owned businesses, to find Black women realtors, or to bank with a local credit union. It may mean looking at the massive wealth transfer that’s unfolding as Baby Boomers retire and sell businesses and pass on inheritance, and asking, could this be a moment to begin repairing America’s original sins? A group of us in Denver are starting a Co-op Investment Club that will make capital available for people of color who are starting worker-owned businesses. We would love to help groups like this break out in Fort Collins. Like I said y’all, email me. These are just glimpses of the work ahead. But this is what it’s going to look like to dwell affectionately in our watershed, to walk in solidarity with the oppressed, and to become those who cultivate shalom.